I have a confession to make. We were very close to passing by this one. In the business of finding gems at a place like PAX South, first impressions are huge. My first impressions for Dicey Dungeons aren't bad by any means, but it didn't have that immediate "Yes, I must play this" factor going for it. That is, until we saw the name attached: Terry Cavanagh. That's right, the man behind VVVVVV and Super Hexagon has made a roguelike deck-building dice-based dungeon crawler. And if you're anything like me, your first thought was probably "This doesn't look like a Terry Cavanagh game." And in a way, you're right. 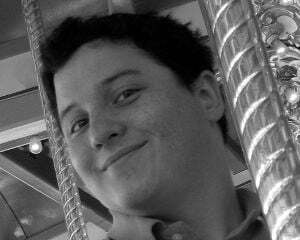 For the first time, Cavanagh isn't going solo on development. Sure, he had Souleye do music for VVVVVV and Chipzel for Super Hexagon, but both of those were closer to being business transactions than artistic collaborations: I pay you money, you provide my game with music. 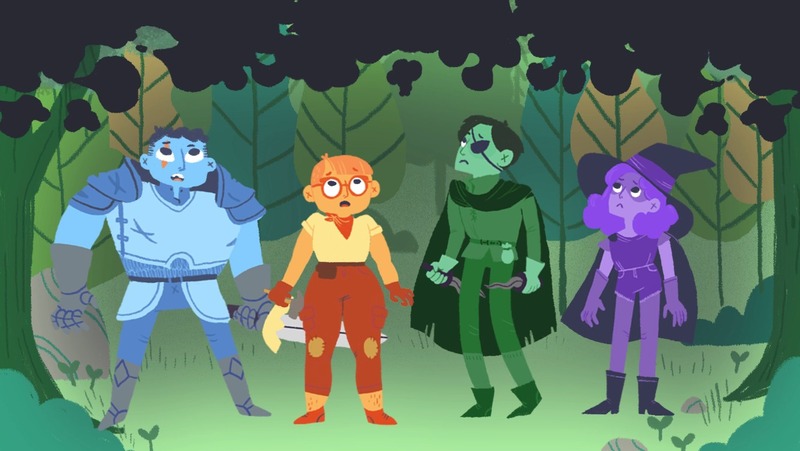 With Dicey Dungeons, Cavanagh has brought on artist Marlowe Dobbe, whose cartoony style brings a brightness uncommon in the roguelike genre. As a duo, Cavanagh and Dobbe can bounce ideas off one another, each affecting the other's work on the final product. Chipzel is back doing the music. And while I can say - from the couple levels showcased in the PAX demo - that the soundtrack is absolutely banging, I'm not convinced yet that it fits with the gameplay. Both the visuals and the sound are upbeat, but the music has a relentless quality to it that clashed a bit with the more "thinky" nature of assigning dice to various abilities. Gameplay in Dicey Dungeons is immediately understandable from the above trailer, or even just the screenshots. Roll dice, then assign those dice to abilities to deal damage, cast spells, steal money, or pretty much anything else you'd expect from a dungeon battle. At first glance, it almost seems shallow. But that's a hallmark of Cavanagh's games: they're easy to understand right away, but they hide a trove of gameplay to discover under the surface. 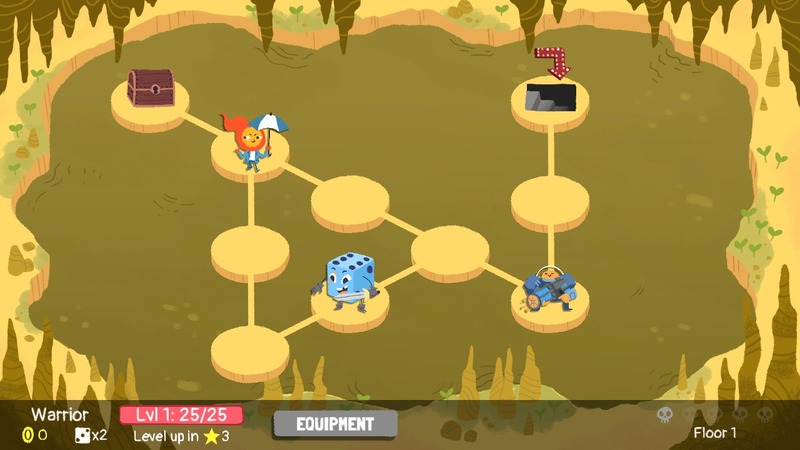 In Dicey Dungeons, the first bit of complexity stems from the different classes available. The most straightforward is the warrior, who wants big numbers so he can hit hard. He has the ability to re-roll a few times each round to get those numbers. I played the thief, next in line in terms of complexity. His abilities are reusable, but limited in power. So instead of wanting one six for a single hard sword swing, he'd rather have three twos for a flurry of dagger slashes. Things get even weirder with the other classes, as with the robot, who plays a press-your-luck minigame each round in order to obtain dice to spend. It's a departure from what we're used to seeing from Cavanagh. 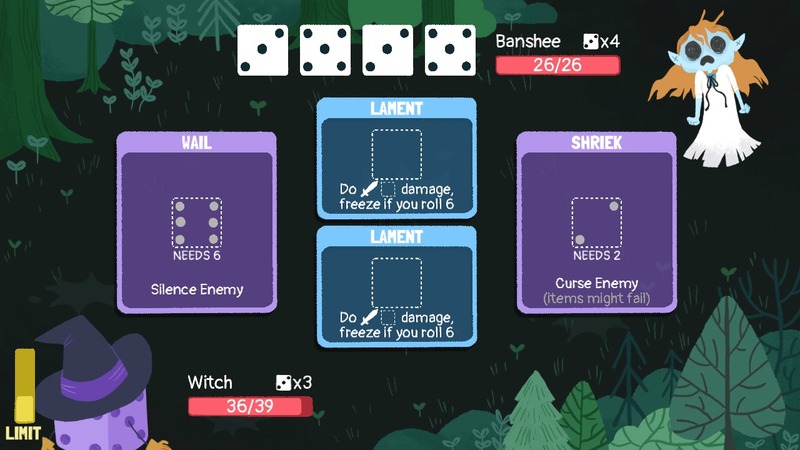 Where his best-known games are big on physical technique, requiring focus and reflex to overcome its obstacles, Dicey Dungeons challenge stems from planning a build and the inherent randomness that come with both dice and dungeons. Dicey Dungeons is currently in alpha on itch.io, with the final release planned for Steam some time this spring. After the PC version is finished, Cavanagh expressed interest in bringing it to mobile and/or Nintendo Switch, since it would work well with touch screens. There's no official word on when those releases would happen.